While the scenarios vary, the results are similarly incredible. We created Zingtree decision trees ourselves in order to reduce the time spent on our own internal processes and support efforts. After implementing decision trees for customer support, we saw way fewer support tickets (about 25% less), spent about 15 hours less every week answering support tickets, and customer satisfaction markedly improved as well. Over time, this has lead to a savings of around $30,000/year. We’re not here to focus on the savings in terms of money this time, however important it may be. Where the real savings truly lies is within TIME; and as we all know, saving time is saving money. Here are a few of some of the major ways that our online decision trees save organizations incredible amounts of time. Consumers young and experienced alike have spoken: self-help solutions are the preferred solutions. 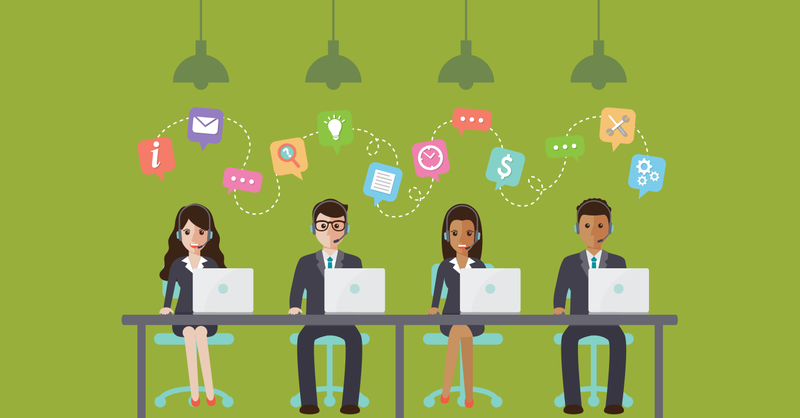 While your standard phone and email communications are still incredibly important to offer, providing platforms to customers that allow them to self-solve problems and answer their own questions goes a long way where time-savings is concerned. Not only do the end-users or customers save time by being able to quickly route themselves where they need to go without waiting in a digital line, this interactive format saves businesses time that would have otherwise been spent helping that customer out. 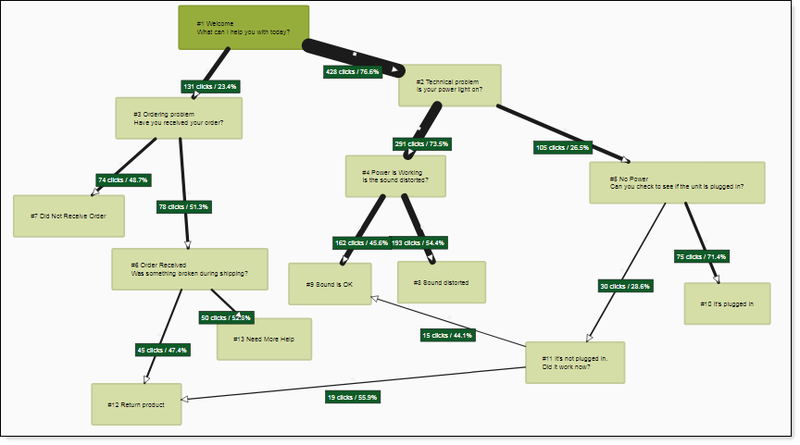 Interactive decision trees make self-help incredibly simple. You can create custom knowledge base materials, troubleshooters, interactive FAQ pages, tutorials, and more to embed directly on-site so customers can get the answers they need quickly. 2. Reducing back and forth. Where emailing back-and-forth or playing phone tag with a customer for hours (or days!) used to be the norm, customers and businesses alike have started to value their own time more. Decision trees are an amazing tool for reducing – even eliminating – the back-and-forth typically found in service-based or consumer-facing industries. Because you can create an entire guided experience with active tracking and data collection, decision trees allow you to always be caught up without any manual effort. 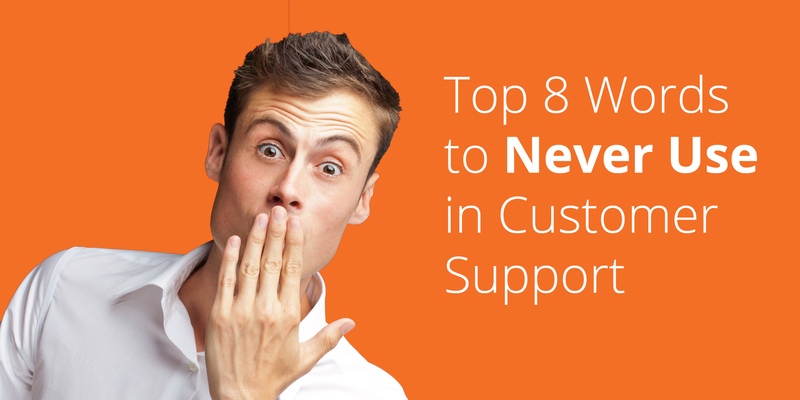 For example, if a customer can’t self-solve a support question using an FAQ decision tree, the information is automatically passed into a complete transcript for a support agent or team member to address. You can even share this transcripted customer info with any CRM tool that your company uses (Salesforce, Zendesk, etc.) to save time importing and sharing. Did we mention that saving time also relates to finding the information you need quickly? For customers in any industry, easy access is key. Interactive decision trees allow you to surface what customers need at a particular time, effectively cutting back on time otherwise spent searching around for the right answer. Introducing guided trees directly into an online site or eCommerce store is a proven way to enhance the customer’s journey from product/service discovery to final purchase. Allowing end-users online to quickly navigate to what they need improves the customer experience and helps to promote even more sales. Being able to collect customer information and other critical data in a secure way online is everything these days. With so many new rules and regulations surrounding data privacy, interactive decision trees remain a perfectly streamlined and secure way to collect and analyze data. Decision trees provide an easier, faster way to get information directly from customers, using data entry forms, feedback, and other methods of tracking. With integrations that make it possible to collect information and validate it all at once (for email, phone, and USPS address), our decision trees are a safe and simple option for gathering pertinent customer stats. We’re firm believers in following the numbers; when a process is actually simplified and optimized, you can take notice using performance data. A full Analytics & Reports section in our decision tree toolkit makes it possible to generate actionable, value-driven reports on critical areas. In these various reports, you’ll be able to see the effectiveness of your decision trees and quickly locate common issues, making products and services even better over time. When you implement internal and customer-facing processes that are easy-to-use, understand, and improve upon over time, the time-saving benefits come naturally. 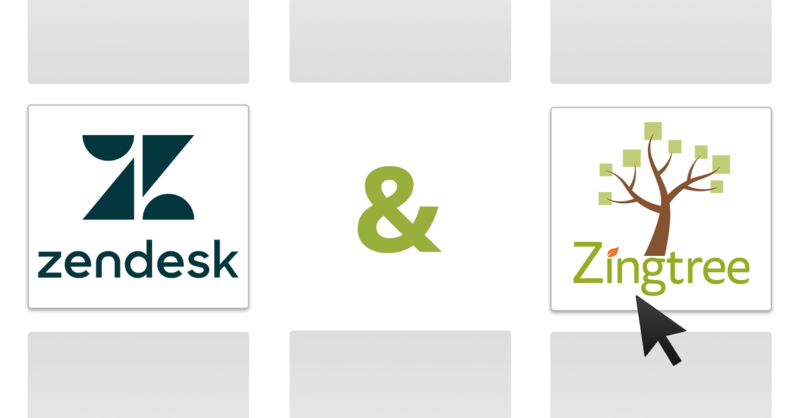 Hundreds of companies around the world are already using Zingtree decision trees to save time, money, and other valuable resources while providing a user-friendly platform – even us! Check out our gallery of decision tree examples to see more real-life use cases on how decision trees are the perfect time-saving solution for businesses. NextHow Do You Fix a Broken Process?